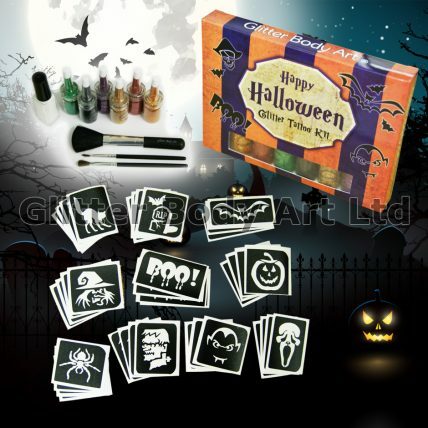 Are you having a Halloween Party or holding a Halloween Event then our Halloween Glitter Tattoo Kit is perfect for you!! One 5ml Body Hypoallergenic skin safe adhesive. Safe for Over 3 but recommend patch test if known sensitivity. 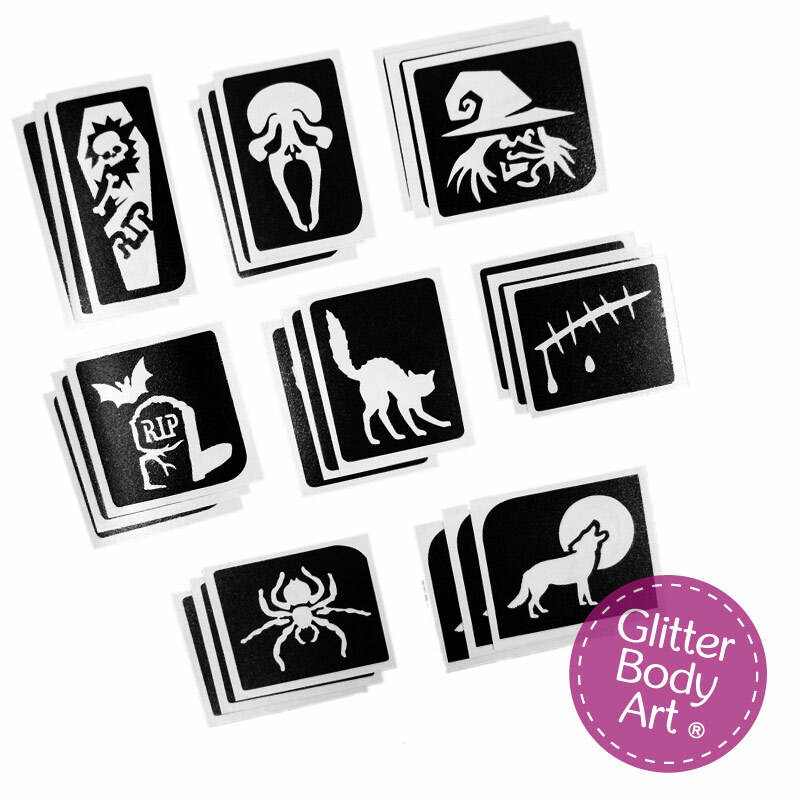 Glitter Body Art Stencils x 40 (pictured). Six Body Glitter Colours (5 gram puffer bottles which have a rubber removable lid for easy refilling). Stencils are self adhesive three layer . Easy to apply. Stencils and Glitter Colours may vary. 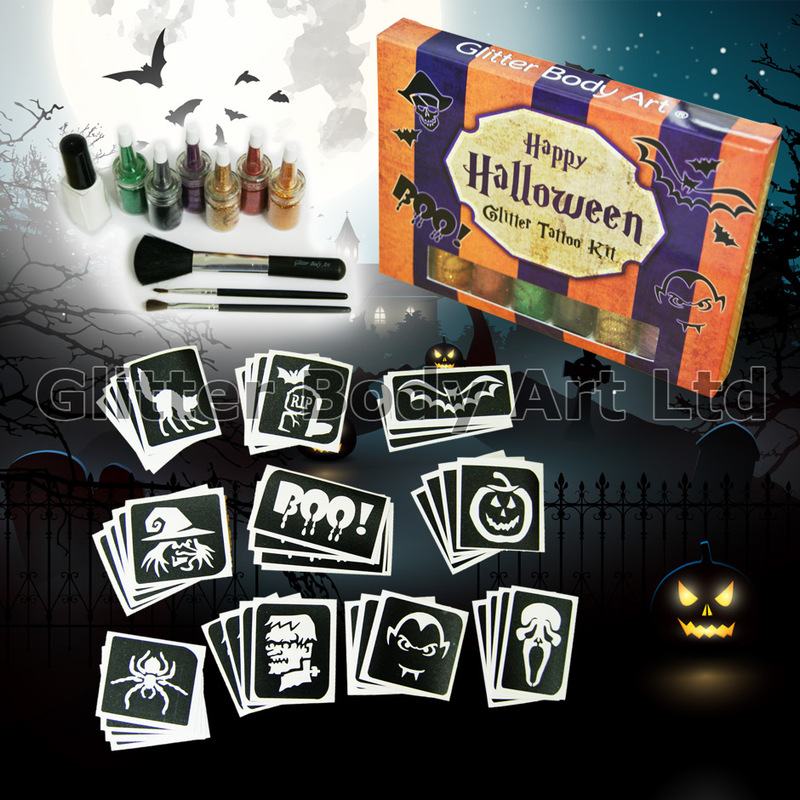 Customers may purchase additional stencil designs and glitters through our website. Glitter tattoos will be waterproof, however, prevent from rubbing whilst damp. Tattoos may be removed from the skin using baby oil.